​Instagram has been on a massive rise of late. The image sharing network hit 300 million accounts back in December 2014, which, at the time, saw it eclipse Twitter and spark questions as to whether it had already become one of the Big 4 social media platforms (Twitter, at the time, had 284 million monthly active users). Then, nine months later, Instagram announced it had hit 400 million monthly actives, reinforcing the platform's growing popularity. In between then and now, Instagram has ramped up it's advertising options and announced a major change to the way its news feed works, changes which many have speculated will alter the user experience slow the app's momentum. Not so according the latest numbers. "Today, we're excited to announce our community has grown to more than 500 million Instagrammers - more than 300 million of whom use Instagram every single day. Our community also continues to become even more global, with more than 80 percent living outside of the United States. That's a major jump - and just as the last 100 million new active users came within nine months, it's only taken Instagram another nine to hit this new benchmark, showing that enthusiasm for the app isn't slowing down. 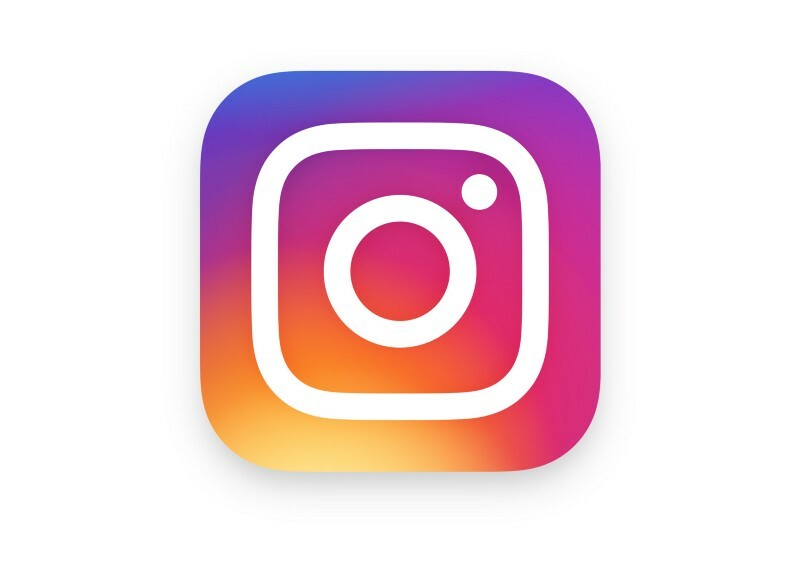 In an accompanying interview, Instagram CEO Kevin Systrom also noted that the average session time on Instagram per user, is 21 minutes. As you can see, Instagram's actual DAU puts it well ahead of Snapchat - double their daily active count, to be exact. If you've not considered how Instagram could be used as part of your marketing and outreach efforts, it may be time to re-assess - the app is huge and only growing, and it's still gaining momentum over time. Part of Instagram's more recent growth has come about because of the platform's international appeal. While other platforms rely on text, Instagram is visual focused, and images transcend language barriers. As noted by Instagram, 80% of their audience comes from outside the US, up from 75% at last count, and they've seen solid growth in France, Germany, Japan and Indonesia of late. That provides Instagram with additional opportunities, particularly as they seek to grow their ad business, which the platform is still in the midst of expanding. 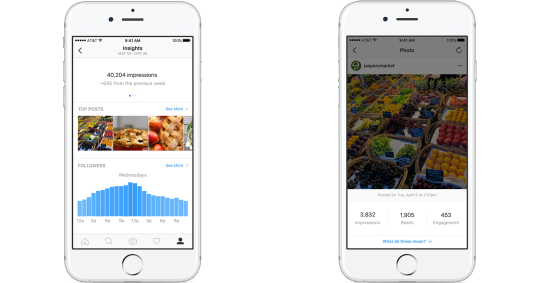 Instagram is effectively in the second stage, where they're now providing new, free tools to help businesses make the most of the platform, with new advertising options and brand profiles, including analytics options, being rolled out. And as noted, the rollout of these new, business-friendly features has some concerned that the platform will soon be overrun with ads, but the addition of the new algorithm will counter that by ensuring people see more of the content they want. Of course, the algorithm in itself has many worried, but so far the rollout has gone reasonably well (after the initial backlash, which actually came before anything had been changed). And while the algorithm hasn't been rolled out to everyone as yet, it's worth noting that the announcement of the coming algorithm was made three months ago, while on-platform advertising was opened up to all businesses nine months ago, both within the period of the platform's acquisition of their latest 100 million users. It would appear neither has had any negative impact as yet. In an interview with Bloomberg, Instagram CEO Kevin Systrom noted that video, in particular, has seen significant growth on the platform in the last six months, with video watch time rising 150%. Instagram recently increased the maximum length of video posts on their platform from 15 seconds to 60 seconds, reflecting that user demand. "What's crazy for us is that we have this moment in time where Instagram is becoming more and more video dominant, video heavy, and I think that's just a sign of the times, people are taking more video, consuming more video - and frankly, all these influencers that exist on Instagram, [...] they're all video heavy as well. I think it's a generational thing." Given the growing enthusiasm for video, and the expansion of live-streaming, Systrom also addressed a question about whether we might one day see a Live option for Instagram. "You may someday - I mean, obviously Facebook's dipped a toe into it and is going - well it's more than dipping a toe into it, they're going heavy into it - and we have that technology to leverage as well. What's important to us is to figure out how it fits into Instagram because you don't just want to, like, adopt a technology and say 'great, now we have live', we have to figure out it exactly how works inside of Instagram and how it'll be different to all the other offerings." How that might fit into the Instagram eco-system is another question entirely, but Systrom's response shows that they are looking at everything, they are considering expanded, new ways in which people can use the Instagram platform to better share and communicate. The fact that live-streaming would even be considered for what was once a very simple photo-sharing app shows just how far Instagram has come. Given these latest user numbers, Instagram is now firmly placed as one of the biggest social media apps in the world - arguably the second biggest. At one stage, the social platforms that were deemed essential were Facebook, Twitter, and to a lesser extent (and for different reasons) Google+. That's now shifted significantly, with the user trends moving more towards images and visual content. Now, for any brand, Instagram needs to be part of your consideration, as does Snapchat. That's not to say every brand needs to be on these platforms, but through sheer size and influence, they cannot be ignored, you have to at least investigate and see if your target audience is there. And given the popularity of both Instagram and Snapchat among younger audiences, chances are their importance will only grow over time. "Everyone's communicating visually now, and Instagram's a big part of that eco-system"
It's worth taking into account now as you work to establish your social media marketing plan.